RICHMOND, Va. (December 30, 2014) – For complete coverage please visit www.topdrawersoccer.com. 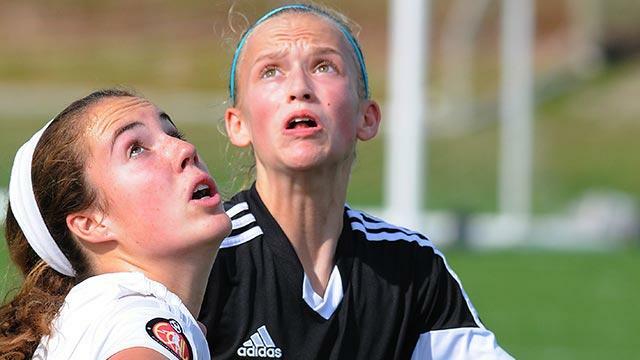 The second day of matches during the ECNL Showcase featured an abundance of college coaches observing the nation’s top female players in pristine conditions at Seminole Soccer Complex. Charlotte Soccer Academy kick-started the match with the early goal, however FC Virginia midfielder Makayla Lewis leveled the score-line midway through the first half to give her side life. Nevertheless, CSA’s dominant play would eventually yield additional success as the North Carolina-based club went on to find the back of the net two more times prior to the end of the first half. Caylin Prillaman added the second goal for CSA – tucking away a comfortable finish from inside the area. Moments before the break, CSA striker Samantha Davis scored her first goal of the match, providing Charlotte with a 3-1 advantage heading into halftime. Davis and CSA continued their strong play in the second 45, with the striker leading the charge. In the 60th minute, the lethal forward chipped the Virginia goalkeeper from 25 yards away – securing her brace with 30 minutes remaining. Davis would go on to complete her hat-trick in the waning moments of the game, resulting in a convincing 5-1 win for CSA. The Orlando City U17 side continued their strong play in the Showcase, capping off the second day with a 2-1 victory over St. Louis Scott Gallagher. Marianna Shurina opened the scoring for City, burying a low effort from outside the area to put the Lions up 1-0 in the first half. Orlando City maintained the majority of possession throughout the first 45, creating ample opportunities to double their lead. However, the St. Louis backline was able to sustain the pressure, giving themselves a fighting chance heading into the second half. City’s relentless attack would eventually lead to another breakthrough when Mercedes Sapp scored a powerful header midway through the first half. Sapp’s header was the result of effective build up play from Orlando City, leading to a clinical finish from Sapp. However, St. Louis managed to pull one back in the waning moments of the match when Kate Loretz scored their only game of the match. While Minnesota thunder moved the ball well through the midfield, they were unable to break the TSC back line led by center backs Kyla Crawford and Josie Hawley. TSC’s first goal came from a beautifully placed free kick that was headed in by Olivia Basnett. The second goal from TSC was an excellent finish by Kearstin Littau, who placed a cross in the lower right corner. The third goal, and second for Basnett, was a penalty kick, after she was taken down in the box. During the second half, the Hurricane scored two more goals, and left the field with a 5-0 win. It was a physical game between PDA and Dallas Texans. PDA went down 1-0 in the first half, but they were not willing to give up. Early in the second half, Alexa Ferreira took a shot from just inside the 18-yard box, and after being deflected off of a Texan defender, PDA’s Zoe Steck headed it in. Not long after, Ali Amirah beat a defender and put away a shot from just outside the 18. PDA came away with the win, while earning a second half shut out. Charlotte’s midfielder Molly Rose McGarry moved the ball well through the midfield, but couldn’t break the Lonestar back line a second time. After a physical game, with one yellow card given out to Lonestar’s Quinn Murphy, each team notched only one goal. During a match between Continental FC DELCO and Dallas Sting, a retreating u16 Continental FC DELCO defender deflected a cross from a Sting forward. This was the first of 5 goals that propelled the Sting to a 5-1 win. Finishing out the day was the U18 match between McLean and Eclipse Select. Eclipse took an early lead in this game, scoring not long into the first half. McLean did not give up and fought hard to the end, putting pressure on the back line of the Eclipse. However, the physical game continued without another goal, and Eclipse Select came away with a 1-0 win.